keep you cool and comfortable all day long. Finally a wide variety of tan thru swimsuits with exciting selections and fun styles that won't cost you more than a regular swimsuit and will help get rid of your tan lines! Do you hate tan lines? Check all our Tan Thru Swimwear and Tan Through Shirt Styles that will look great on you and help get rid of those tan lines. Discover how you can tan through swimwear and eliminate your tan lines while never risking unprotected exposure to the sun. A special knitting technology creates millions of tiny pores in the fabric and these pores allow approximately half of the sun's light to pass through to approximately the same degree as a medium level sunscreen. The lightweight Microsol fabric is smooth, and in addition, the porous nature of the fabric allows your skin to breathe, which keeps you cool by letting perspiration evaporate quickly. Both men and women can tan evenly and safely all over while saving hundreds of dollars in alternative tanning methods. Tan-through swimsuits are NOT see-through! The lightweight Microsol fabric is NOT see-through when either wet or dry so you can enjoy tanning naturally and safely while avoiding any awkward or embarrassing swimsuit situations. 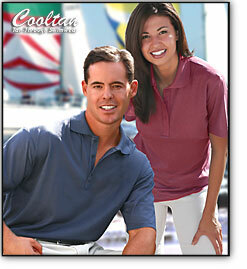 Choose from a wide variety of colors and look and feel great anywhere! There is a small front panel in the suits for increased modesty, which means you get that all over tan discreetly and comfortably. "Cool, comfortable, and you can get a tan without having to lay in the sun doing nothing"
Fully machine washable making it very convenient and easy to take care of and they are NOT affected by pool chlorine or ocean salt. Great for water sports because it won’t slow you down due to the pores in the fabric, which prevents water from building up inside the swimsuit. Competitive swimmers will appreciate the increased hydrodynamic performance! "I was at the golf course a couple weeks ago, it was in the mid 80's heading up to the 90's, and the shirt - believe it or not was dry"
cool and comfortable on very hot days while avoiding those sticking shirt scenarios. kinds of outdoor activities without getting the farmer's tan. accessories you may need on your trip.